It was ironic that having waited so long for the Premiership, Bonar Law should have occupied the office for less time than any other Prime Minister this century; such a fate almost justified, retrospectively, his dour pessimism. The same ironic fatalism also ensured that a man who had put most of his energies into keeping the party united should have attained the highest office only as the result of a party split. 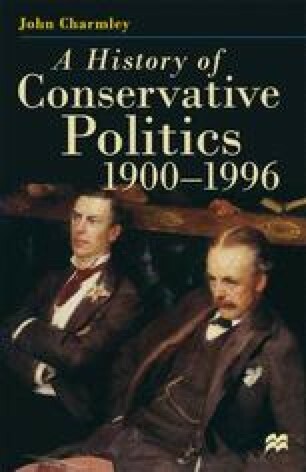 Law remains, however, the only Conservative to have returned to the party leadership having once relinquished it — even as Austen Chamberlain remains the only leader of the party this century never to have become Prime Minister.